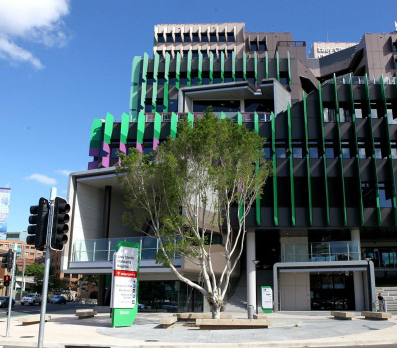 The move to rename Brisbane’s Lady Cilento Children's Hospital should cost taxpayers up to $500,000. Queensland Health Minister Steven Miles has formally announced the new name - Queensland Children's Hospital – and says changing signage will make up the bulk of the cost. The change was proposed in response to concerns that the previous name made it sound like a private facility. Lady Phyllis Cilento was a medical pioneer and author, and her son Dr David Cilento says he is “devastated” that his mother's name will be removed from the exterior of the paediatric hospital. Hospital staff petitioned the Government for the name change, and the Children's Hospital Foundation also wanted a conventional name in the hope of securing more money for research. While the hospital has only been open for four years, Dr David Cilento says the change is “absolutely destroying” his mother's legacy. “The only reason people have their names ripped off buildings and things like this is usually because they're persons of ill repute or actual criminals — my mother was neither,” he said. “She was a brilliant clinician who brought up a family of six kids. Mr Miles said the Government would work with the Cilento family on another way to honour Lady Cilento. “This was originally the Queensland Children's Hospital — the previous government changed its name without consulting anyone,” Mr Miles said. “We've been through a decent process here of consulting the staff, consulting the public.